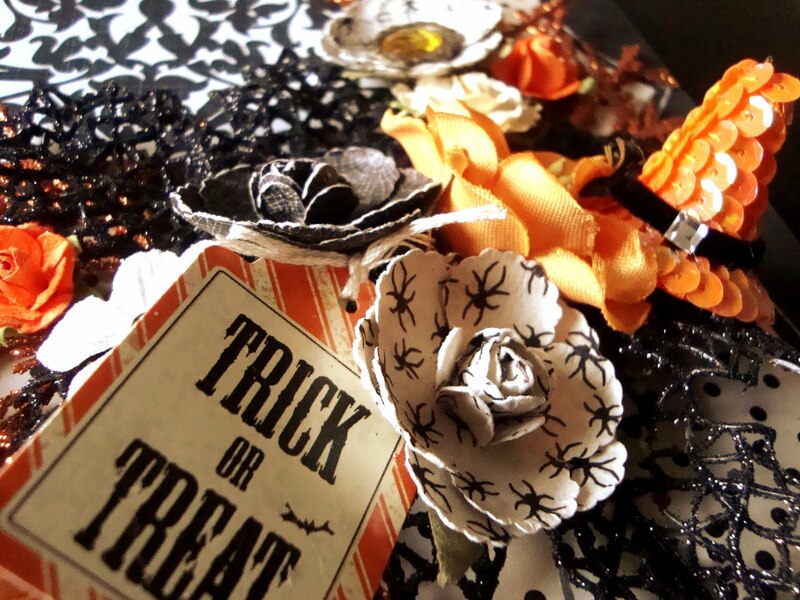 Halloween is just around the corner and my kids can hardly wait! This week will be filled with a preschool Halloween parade and party, last minute costume adjustments, and preparing lots of spooky food for our Halloween block party. So with all this black, orange and spidery inspiration around, I thought I would squeeze in a Halloween layout for ebay. I have shared a few photos below, but you can see the rest on ebay here. 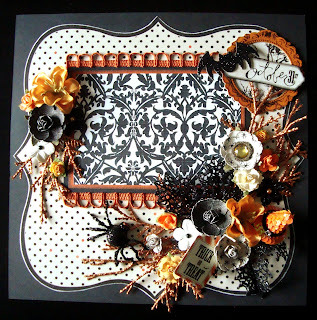 I really tried to make this have a elegant feel which is not super easy with Halloween -- lol! 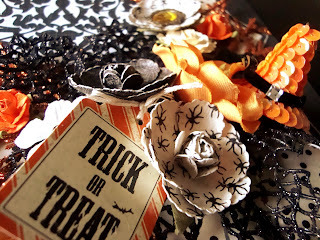 There are a few fun little embellishments like a spider and a sequenced witch's hat, which I just love! I have really been making very three dimensional layouts lately so this would be great in a shadow box or you could put it in an easel and placed on a shelf! 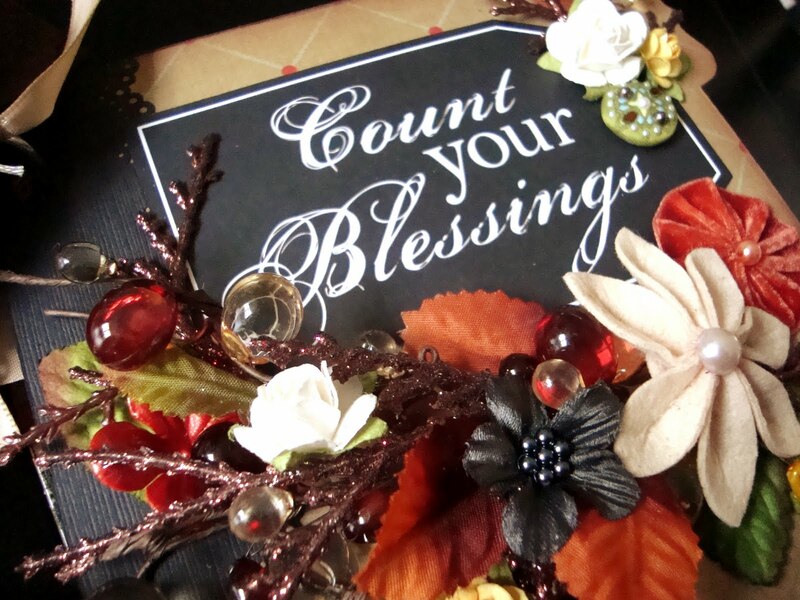 I have also listed a beautiful mini album in honor of the upcoming Thanksgiving holiday. I know it seems a bit soon, but really is only weeks away. This season of giving thanks always gets me thinking of everything that I am grateful for, and for me, like most of you, it is my family! 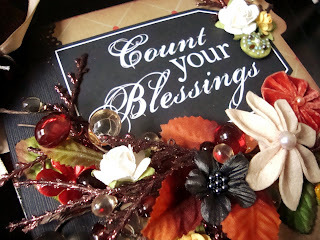 I just love this title, "Count your Blessings" and thought it would great with a few fabulous family photos! Here is a little sneak peek of the front and you can see the whole album on ebay.